Alfred Nutile is a web app developer and podcaster at DevelopersHangout. Some time back, I posted on how to set up Laravel and Behat using Selenium and headless Chrome. But since that article, a new option has come into view — Dusk. 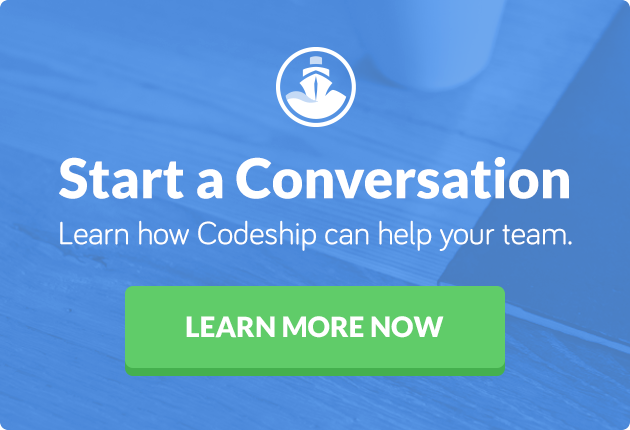 In this article, I will cover a much-updated approach to getting all of this working on Codeship, including how to troubleshoot when things are not going as expected on a Codeship build. As in the last post, I reference Matthew Setter’s article about Laravel and Codeship. From there though, the next steps change from the previous article since there is no Behat or Selenium to set up. If you miss the Behat Gherkin workflow, try Pickle. Instead, I follow the installations docs as seen on Laravel Docs. This uses the standalone ChromeDriver, eliminating the need for installing Selenium as well. The docs on that page do a great job of explaining how to get set up. The only thing I would point out is that if you are running your tests in your VM, which I do most of the time, you just need to set your VM to know the IP of your host machine. So when you’re running Dusk from inside of it and point to the URL of your app (eg, http://foo.com), then the VM’s /etc/hosts file needs to match that domain to the host IP. This will then open up Chrome on your host machine via this driver. * A Dusk test example. You should see, as in the image below, Chrome pop up and run the tests. This makes it easier to debug a build when you SSH into Codeship, as I will demonstrate later on. All right, now wrap up the two install settings on Codeship as seen in the image below. Sometimes things will not work out on the CI as expected, and this is great! Well, great in that the CI really does catch the little details that are easy to miss when running tests locally. For example, a classic one for me is that on a Mac, I class with a filename FooBar.php but the name class Foobar will pass. But on the CI and pure Linux, it won’t. since the caps do not match. I’d much rather have this happen on the CI than on my server. This is where, in my opinion, it pays off to just have these files instead of numerous lines to run. Then after you run the test again, you’ll get a ton of output on the screen. For me, this led to a message that ChromeDriver could not connect to the APP_URL, so I just made sure to rerun php artisan serve. Once, I made the mistake of setting assets to use https, but as you see above, I am serving PHP over http. That makes it easy to see results while running tests and trying new things in the top pane. The log file will not be there until there is something to log. This will download those files locally to your computer. This is needed since SCP to Codeship requires a password, so you can’t just download those files from your machine. In case you’re missing BDD and the Gherkin syntax that Behat provides, I want to share how to use pickle. By using Pickle, you can still have the same flow as before, where there’s a Gherkin-based test to run that will use Dusk. The Pickle docs mention cgr and global install. This is great for your host machine or VM (Guest), but for Codeship, we’ll just include it into our dev composer.json. This will stub out a file located at tests/Browser/ExamplePickleTest.php for editing. All this is doing is wrapping Dusk, so as before, you could just run php artisan dusk, seeing the test come together one step at a time. And that is it; we can leave Codeship settings as they are. And as with Dusk, Pickle is just wrapping PHPUnit, so in your Codeship test settings, make sure to add vendor/bin/phpunit --stop-on-failure.